At last it’s the weekend, and it’s day 5 of the TSNC Big Advent Calendar Giveaway! Today I’ve got a couple of fantastic prizes up for grabs! 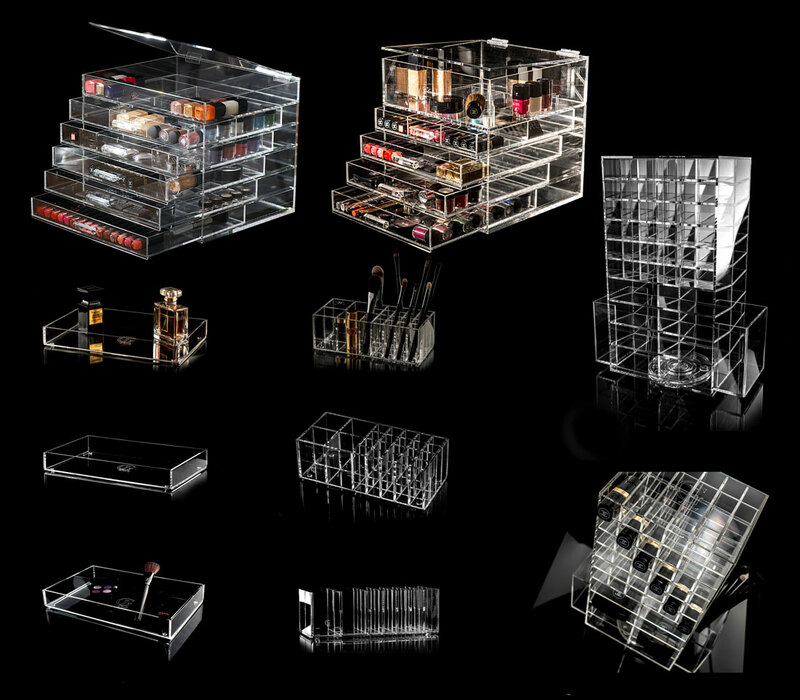 Glamour Living produce and sell beautiful clear acrylic makeup storage solutions. Now I have one of these, so can tell you that they really are top quality. Glamour Living’s products are made of thick, heavy acrylic – none of this flimsy cheap stuff you see elsewhere. These products are built to look good, and to last. Glamour Living are kindly giving away one of their stunning Brushtidy Brush Holders worth £35! 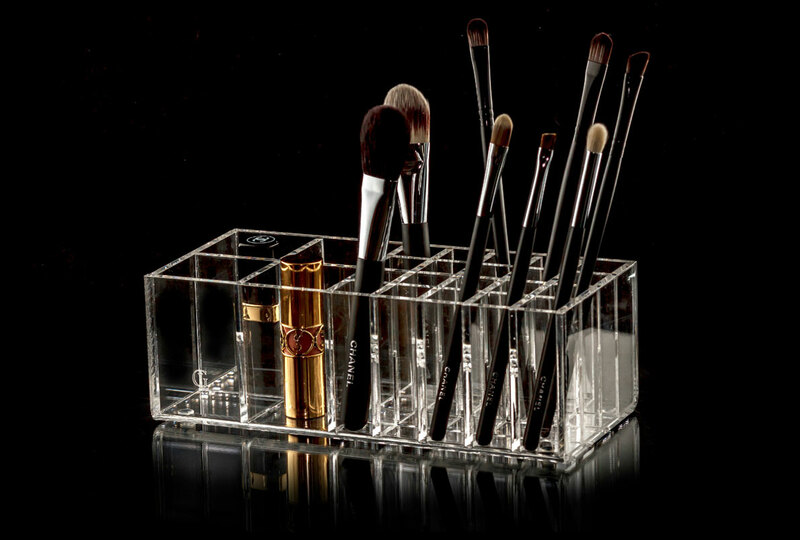 The perfect gift for makeup fanatics, this brush holder is made of heavy weight, high quality acrylic lucite, and it has sixteen small sections to house individual makeup brushes, with four larger sections which can be used to store larger brushes or other accessories. The Brushtidy features a finely polished exterior with elegant branding on the front, curved edges and rest pads beneath to protect your furniture. This is a fantastic double giveaway today, also including The What Emma Did Boutique. The boutique is an extension from the lifestyle blog whatemmadid.com, offering a dedicated collection of occasion dresses. The boutique has an offering of timeless, classic and wardrobe essential dresses for ladies, providing stylish designs at affordable prices. What Emma Did will be giving away their gorgeous Graphic Rose Dress worth £20! To win both these stunning prizes, you Just need to enter via the Rafflecopter widget below. This giveaway is open internationally, and will be open for four days only. If you have any questions please do drop me a line. Good luck! Previous Post Soap and Glory Christmas Gifts! This is so amazing, wow! Thank you! Lovely giveaway! Thanks for the chance ? Love the idea of getting this organised.